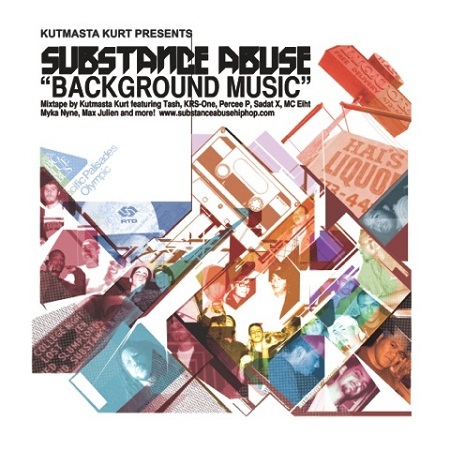 Los Angeles hip-hop duo Substance Abuse return to hip-hop with their sophomore LP, Background Music. Consisting of emcee Eso Tre and Subz, Substance Abuse pull no punches on their latest offering: The 18 track collection is a hard-hitting, funky rap album that feels distinctly LA. The LP features MC Eiht, Tash of Alkaholiks, Percee P, Max Julien (The Mack), Sadat X of Brand Nubian, Myka 9, and KRS-One.